The best Spain all inclusive resorts are almost always located on the beach and most often in the popular Canary Islands location of Tenerife. You can see also our dedicated best Tenerife all inclusive resorts if you have not done already. Here are the best all inclusive resorts in Spain. 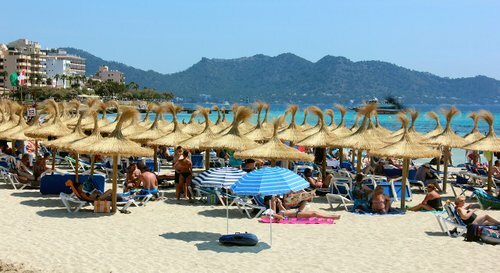 With about 10 million visitors each year, this the largest of the Balearic Islands is well set up to handle tourism. Even with all these tourists the relatively small population maintains an authentic quality that is attractive. Some of the best all inclusive resorts in Spain are located here. Great 4 star resort. All rooms have a private balcony, an exotic wellness centre and high quality buffet meals feature at this four star all inclusive resort set amongst some great gardens not far from the capital of Majorca. 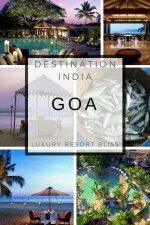 This resort is popular with people of all nationalities who give it pretty good to excellent reviews. Reports are of excellent food and buffet options available throughout the day. Well worth making that booking. See reviews and bookings for Hotel Riu Bravo All Inclusive. On Cala Domingo's cove set right upon the beach is the 3 star Clubhotel Riu Tropicana. Highlights include a swimming pool with children's section, lounge chairs and umbrellas set around the pool, terrace solarium, lounge bar with terrace, mini-market, and mini club for kids' 6 days a week. Not all the packages are the same at this resort then take care when you book. You will see the reviews are very good to excellent. See more information and reviews Riu Tropicana Clubhotel. Novo Sancti Petri is a resort town in Andalusia. This is in southwestern Spain and there are a some great golf courses, Playa (beach) de la Barrosa, and a number of different resorts and hotels here. More on Novo Sancti Petri. A mid-size 4 star resort in Novo Sancti Petri with excellent reviews from past guests. Highlights of this beachfront all inclusive resort include a restaurant, indoor pool, fitness centre, spa, wifi and more. Get more information and see the latest reviews for Iberostar Royal Andalus. This 4 star all inclusive resort is very large with 832 guestrooms. Highlights include an indoor pool, 2 outdoor pools, free children's club, health club, spa, game room and more. Reviews are quite good. 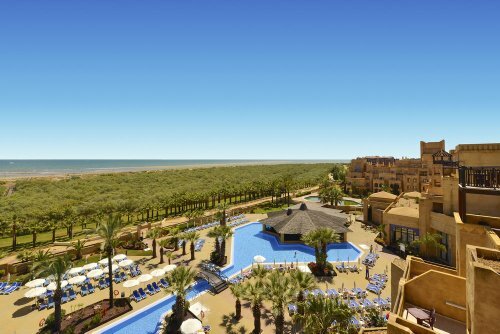 Get more information and see the latest reviews for Clubhotel Riu Chiclana. Isla Canela is an island south of Andalusia, Spain. It has great beaches making it a popular resort spot. Find out more about Isla Canela. Iberostar Isla Canela is a 4 star all inclusive resort with a full-service spa, indoor pool, 300 guestrooms, water sports nearby and a children's pool. Reviews are excellent with many raving about their stay here. Get more information and see the latest reviews. This 4 star resort is in Taurito on Gran Canaria. It's an adults-only resort with around 300 rooms, soaking bathtubs, scuba diving and furnished lanais. It's close to the Lago Taurito Water Park. Reviews are excellent with past guests liking the variety of food, cleanliness, and the main things are to do here are the beach and hotel. Get more information and see the latest reviews﻿ for Hotel Suite Princess. This video may inspire you to check out some of the best Tenerife all inclusive resorts. 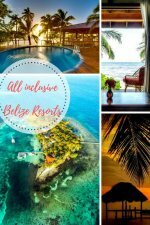 This 4 star all inclusive resort has 3 restaurants, 3 pools, a free children's club, free shuttle, health club, poolside bar and spa treatments. It's a popular resort that gets good reviews. 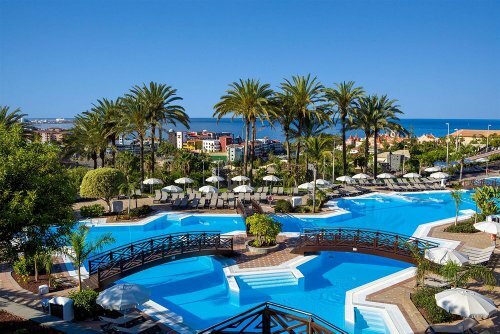 Get more information and see the latest reviews for Melia Jardines del Teide. 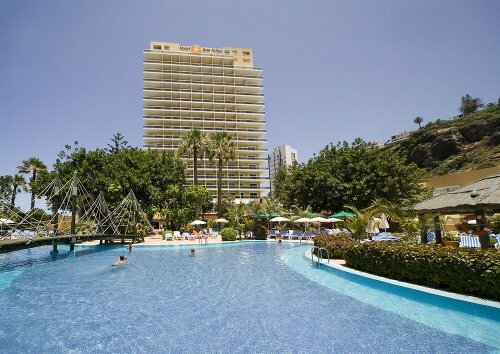 This Tenerife all inclusive resort is 4 star and not too large with 261 guestrooms. 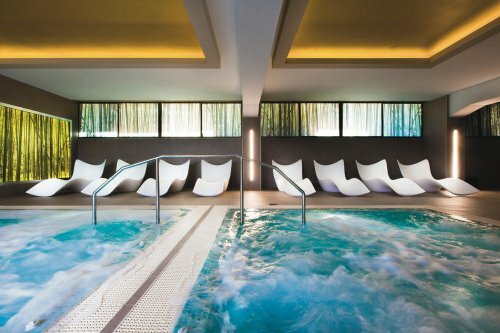 It's has a free kid's club, full-service spa, 3 restaurants, children's pool, tennis court and garden. It's on the boardwalk and 15 minutes from Loro Parque. Get more information and see the latest reviews for Bahia Principe San Felipe.